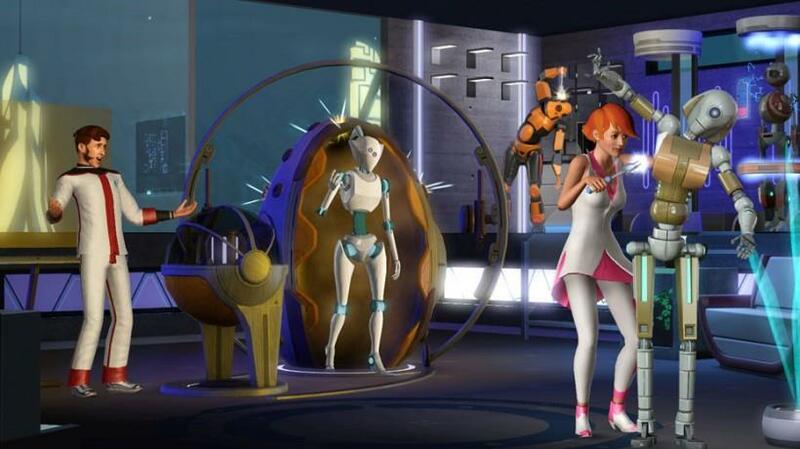 The Sims 3 Into the Future marks the eleventh and final expansion pack before the arrival of The Sims 4 next year. Into the Future is also one of the more unique expansion packs in comparison with past entries as it departs to a completely different time period that takes place hundreds of years into the future. While a majority of the content focuses on the addition of objects and clothing items, there is also a great deal of new gameplay features as such with the introduction of Plumbots. It's fitting that the final expansion pack for The Sims 3 provides a refreshing gameplay experience that feels different from past entries, yet while still maintaining the core mechanics. Ultimately, enjoyment of Into the Future will depend on the particular Sims gamer and if they're a fan of the science fiction setting. 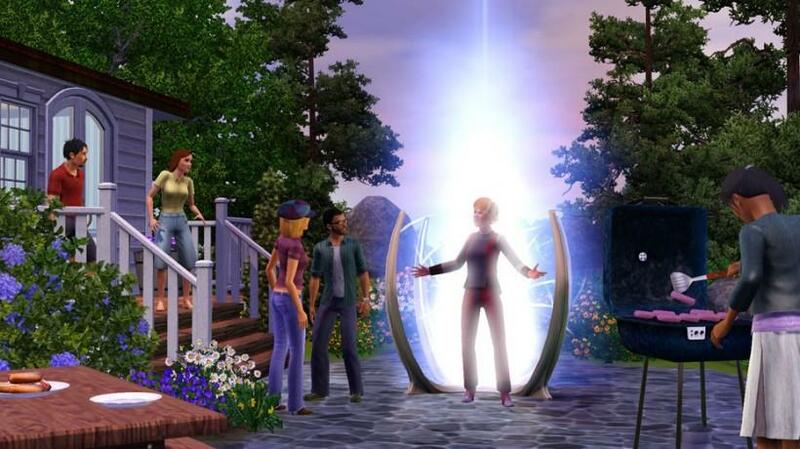 Once the expansion pack is installed, previous or new households receive a visit from a time traveler that exits from a glowing portal. After completing a brief quest for the time traveler, players have the option to journey with them to the future city of Oasis Landing. The futuristic city provides a variety of new rabbit holes and venues to explore in addition to a wasteland outside its walls that can be explored for collectibles. At any time, players can travel back and forth between the current and future time settings. The expansion pack provides players with three futures to select from including normal, dystopian, and utopian. The various future states only affect minor gameplay features, but primarily change in appearance of the world from cloudy skies and falling meteorites to a giant rainbow and sunny skies. In the future, players can also visit descendants of their current household that are dynamically generated based upon current day conditions. As well, two new career paths are added involving astronomy and the creation of Plumbots. As with past expansion packs, Into the Future adds a wide assortment of new objects to the buy and build modes that range from food synthesizers to hologram computers and televisions. In addition to the numerous build objects for designing a future home, Sims can now use elevator tubes to traverse house levels and even receive be instantly cleaned from sonic showers. Transportation has also been expanded in the future with cars that hover as well as jetpacks and hoverboards. The new futuristic buy and build objects add a new gameplay element to designing and decorating houses as many items simply aren't required any longer with the evolution of in-game Sims technology. Not to mention it's highly-entertaining and refreshing to build a house that goes beyond the rules and designs of today's architecture standards. 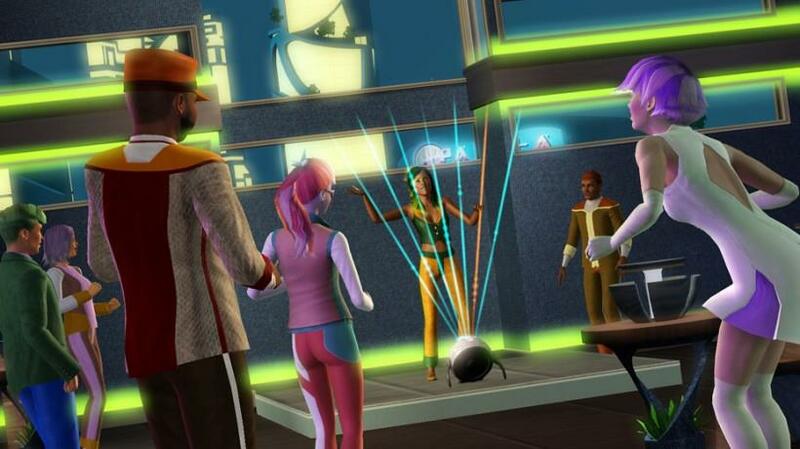 The creation of Sims has also received a variety of new futuristic items from suits and dresses that draw many resemblances and inspiration from science fiction classics such as Star Trek. The creation of Plumbots is one of the biggest surprises from the expansion pack as designing robots and interacting with them is downright entertaining. Sims can now study the bot building skill which in turn allows for the creation of more complex Plumbots that function using trait chips. The designing of Plumbots is similar to the Sim creation process but differs in that players select from an assortment of heads, torsos, arms, and legs to create their very own personalized robot. While basic at first, Plumbots can be improved through the addition of trait chips that enable expanded functionality such as becoming a master chef or musician. Once a Plumbot has been created, players can control them as they would an ordinary Sim aside from different conditions such as having to receive tune ups and powering down to ensure their maintenance and battery meters are at optimal levels. It's not long after creating one Plumbot that players will want to create an army of them to either live alongside in their household or use as futuristic chefs and maids. And yes, Sims can develop romantic relationships with Plumbots for the future-embracing players. Even if players decide to skip the initial time travel journey or return to their current time household, all of the futuristic objects and clothing items can be used no matter the setting. Yet, it's pretty neat to have a futuristic vacation home awaiting your Sims if the current day loses its interest or excitement. 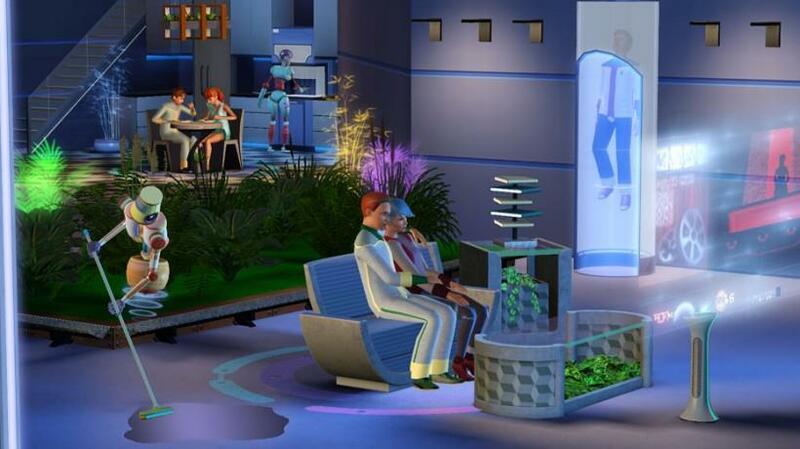 The Sims 3 Into the Future is a great expansion pack to end with before everything changes for the upcoming Sims 4. While its gameplay features aren't truly groundbreaking in overall improvements or changes, they ultimately provide an interesting and refreshing change of pace from past entries in the series. The wide assortment of new objects and clothing items are as always much appreciated and especially this time around go along away in providing new elements to the creation of houses. Both Sims veterans and newcomers should plan an extended time travel vacation to the future as they might not want to return to the boring events of current day. 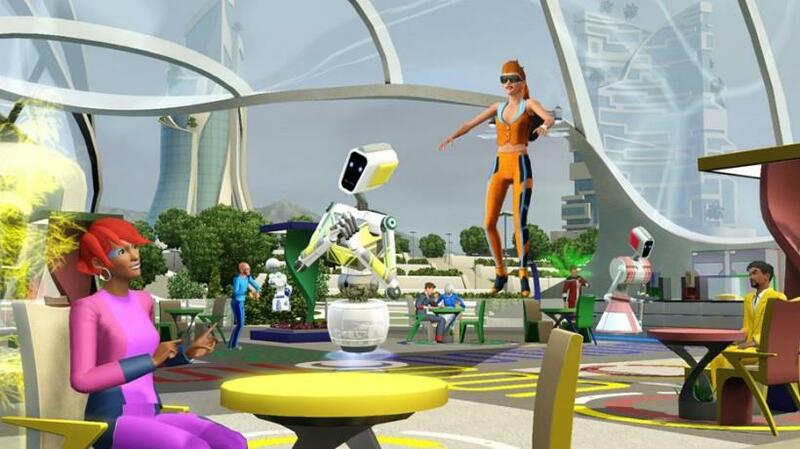 The Sims 3 Into the Future is highly recommended as an addition to any fan's Sims collection. 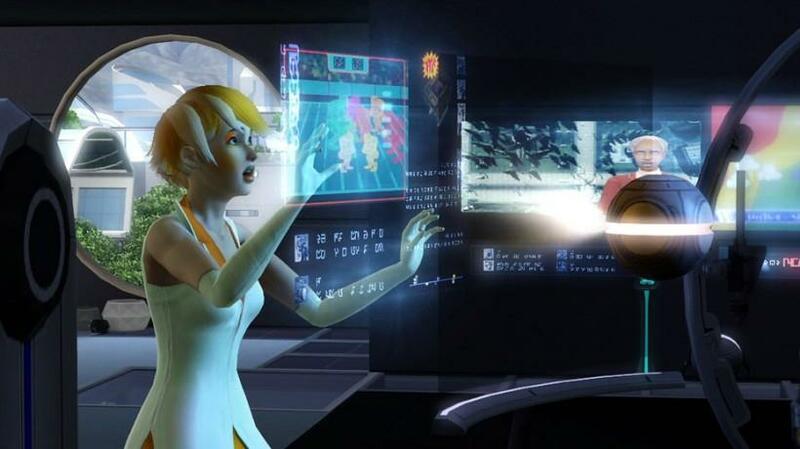 The Sims 3 Into the Future is a refreshing gameplay experience from past expansion pack entries as Sims fans are finally able to journey to a far more unique world and time setting. With a wide assortment of expanded futuristic objects and clothing options as well as a new world to explore, Into the Future provides a great deal of content for expanding upon the base game. Both Sims veterans and newcomers should find plenty to enjoy in the final expansion for The Sims 3 series. 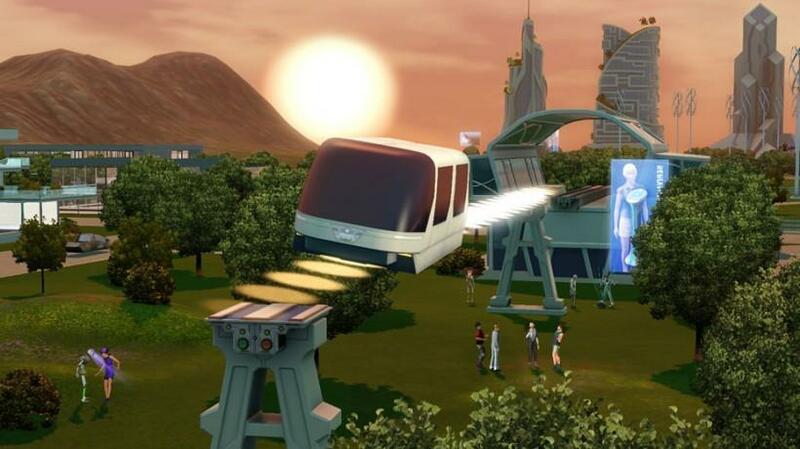 The Sims 3 Into the Future is highly recommended for any Sims fan.